The Golden Door Spa & Health Club is a haven for relaxation, wellness and indulgence. With the balmy coastline of the Gold Coast as it's backdrop, it's a renowned destination to for reconnecting with your best self. 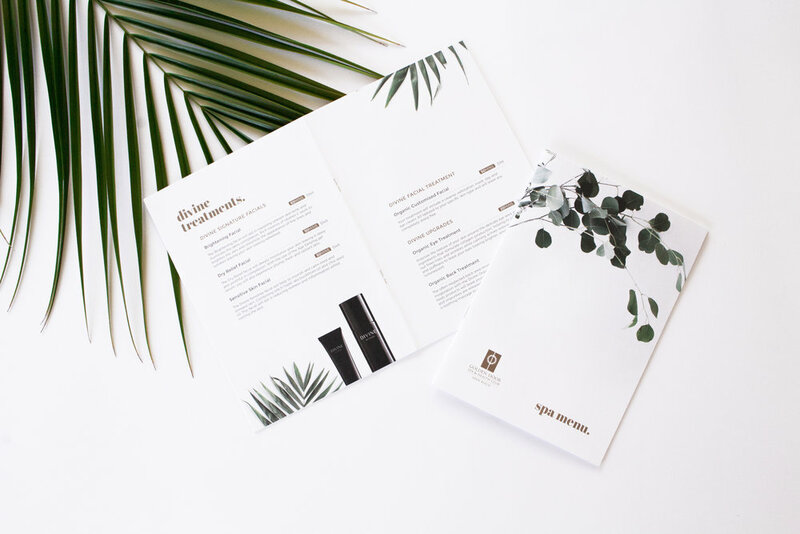 The Golden Door Spa & Health Club were in need of a brand collateral re-fresh to better represent their values to the public. The goal was to bring an earthy, natural and relaxing ambiance to their existing and new marketing material. By blending nature based imagery, warm golden tones and striking typography, the Golden Door succesffully re-positioned themselves in the market as one of the leading day spas and wellness centers of the Gold Coast. The natural native and tropical environment of the Gold Coast became the guiding inspiration for the brand. The expansive light, the earthy tones and the influence of nature's ability to relax and heal was embodied in the designs.